Today's challenge was to draw a traffic sign. 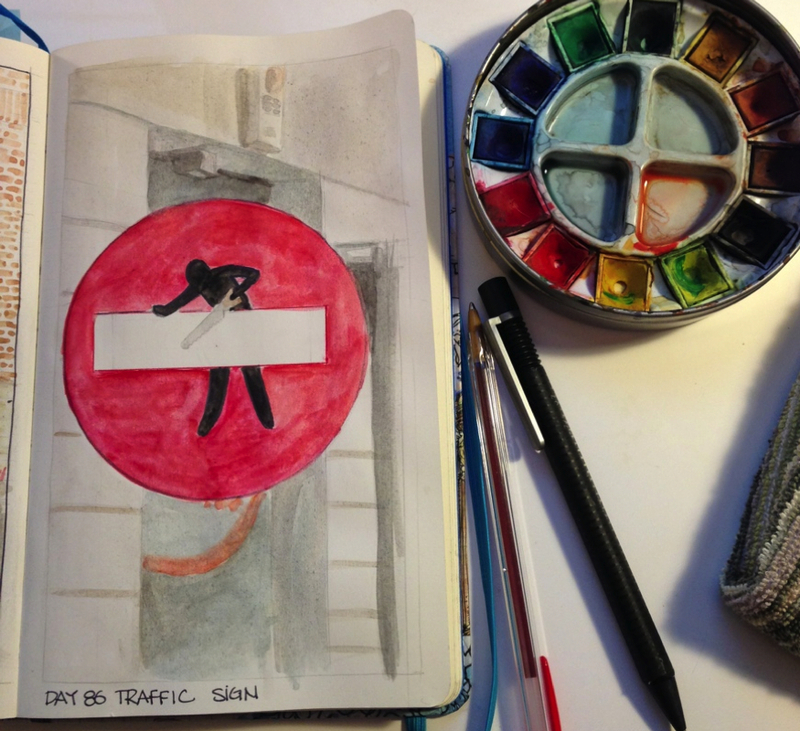 I sketched a no entry sign I saw when I was in Barcelona last year. I had to do a double take because it looked legit for a moment. I realized that someone had added a little stick figure on to of it cutting the white bar. Well done.